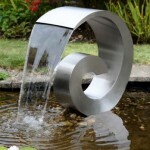 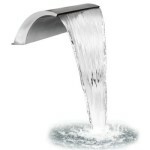 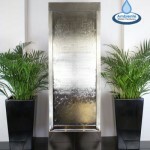 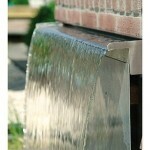 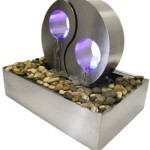 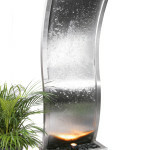 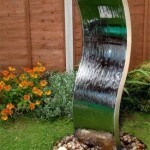 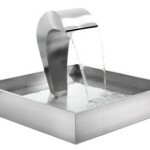 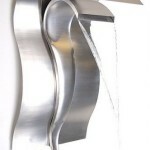 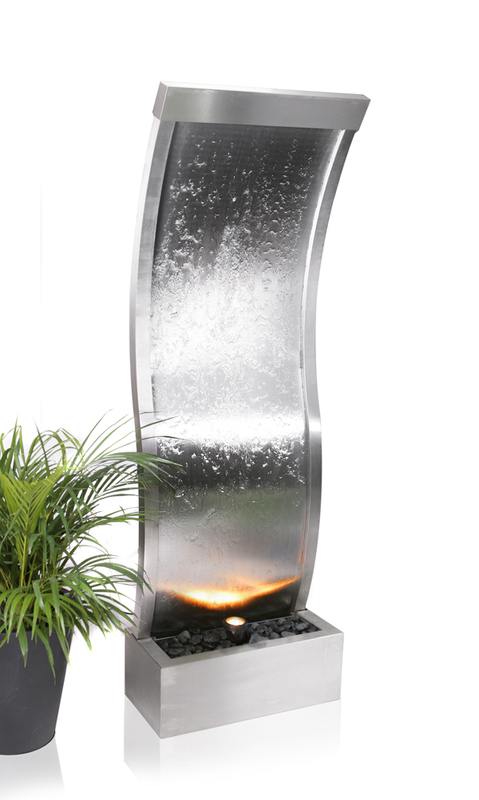 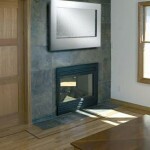 This awesome curved cascading wall water feature is made from high quality stainless steel. 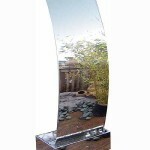 It stands 1.5 metres high and is fully self contained. 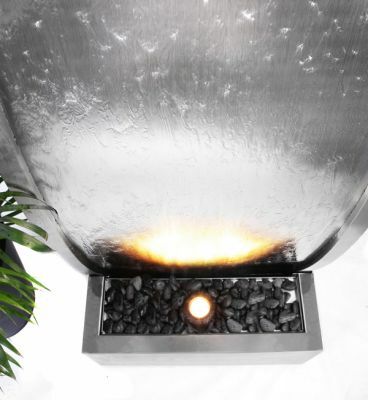 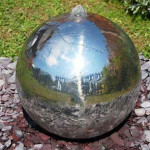 This is a self-contained water feature, containing everything you need to get it working immediately. 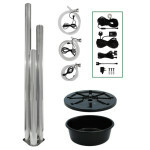 Supplied with one halogen light and pump, with a 10m mains cable. 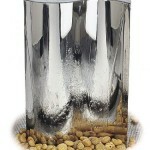 No additional reservoir is required – the water recirculates from within a reservoir hidden inside the feature.